Tom McNabb’s legacy reached far beyond his service to the AOH. 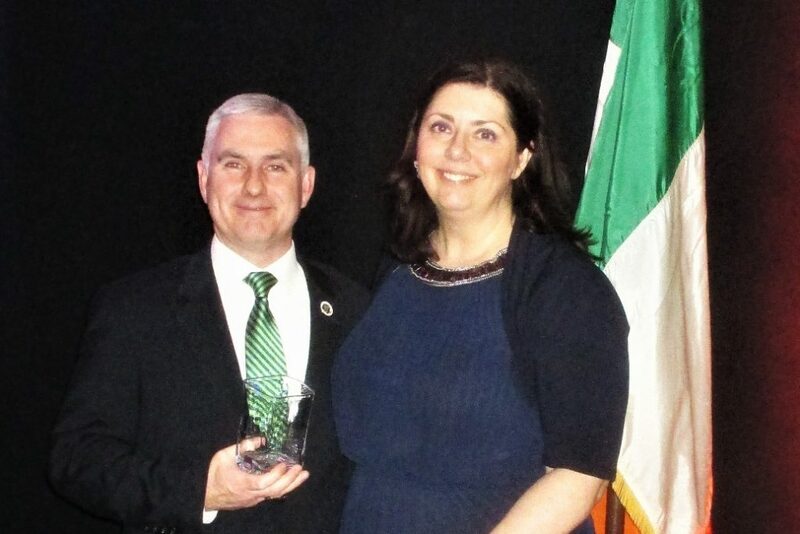 The Irish American Heritage Museum was one of the organizations that benefited from Tom’s hard work and commitment. The Museum recently honored Tom at their annual Gov. Hugh Carey Gala. Pictured is Liam McNabb accepting the award from Museum Executive Director Dr. Elizabeth Stack.